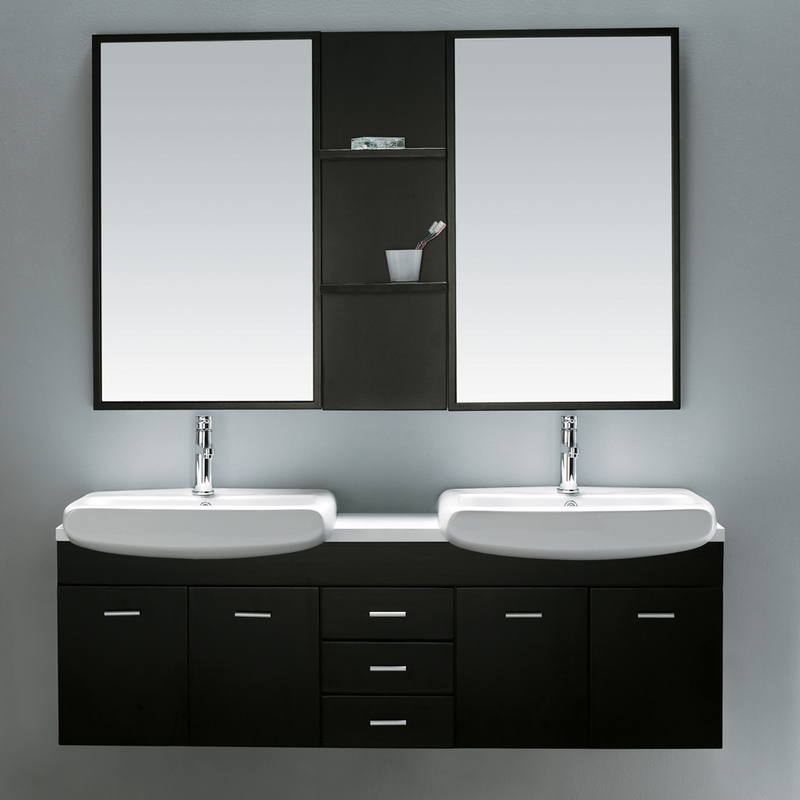 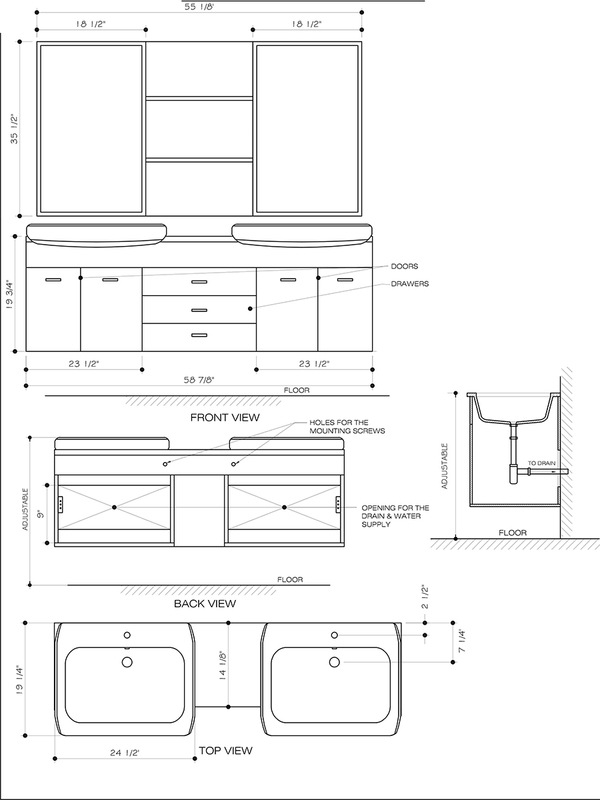 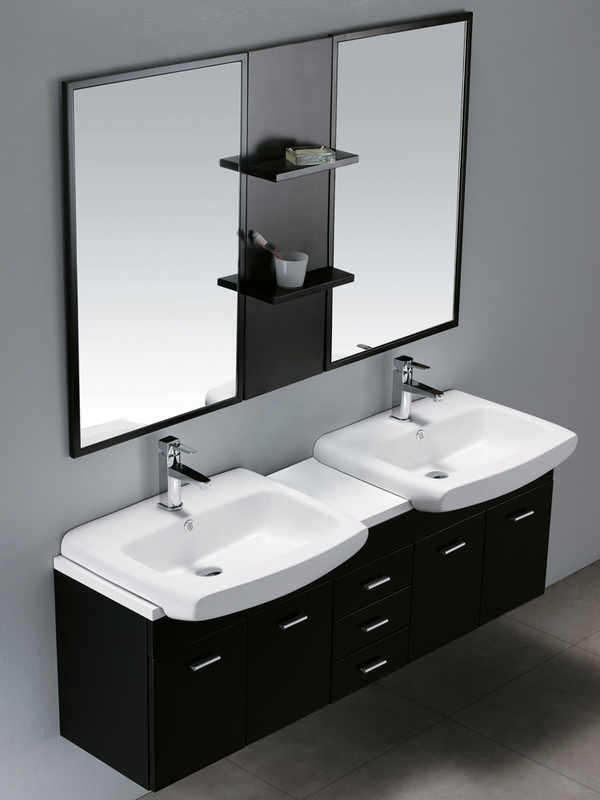 It's easy to fall in love with the 59" Raynor Double Wall-Mount Vanity. 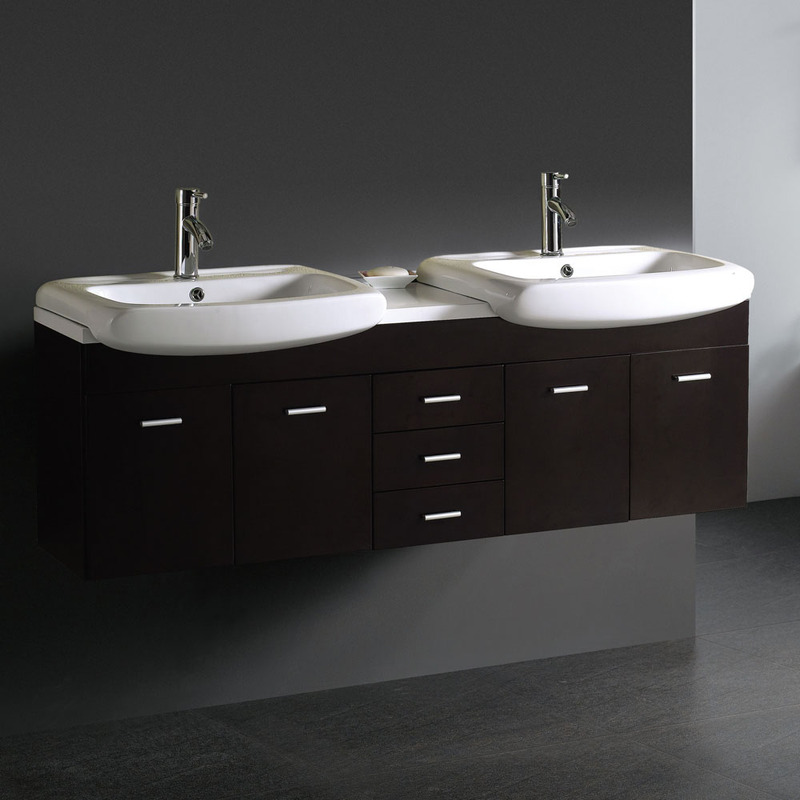 Featuring beautiful design elements such as its gorgeous Wenge finished, solid wood cabinet and attractive metal drawer and cabinet pulls, the Raynor Vanity is the epitome of modern styles. 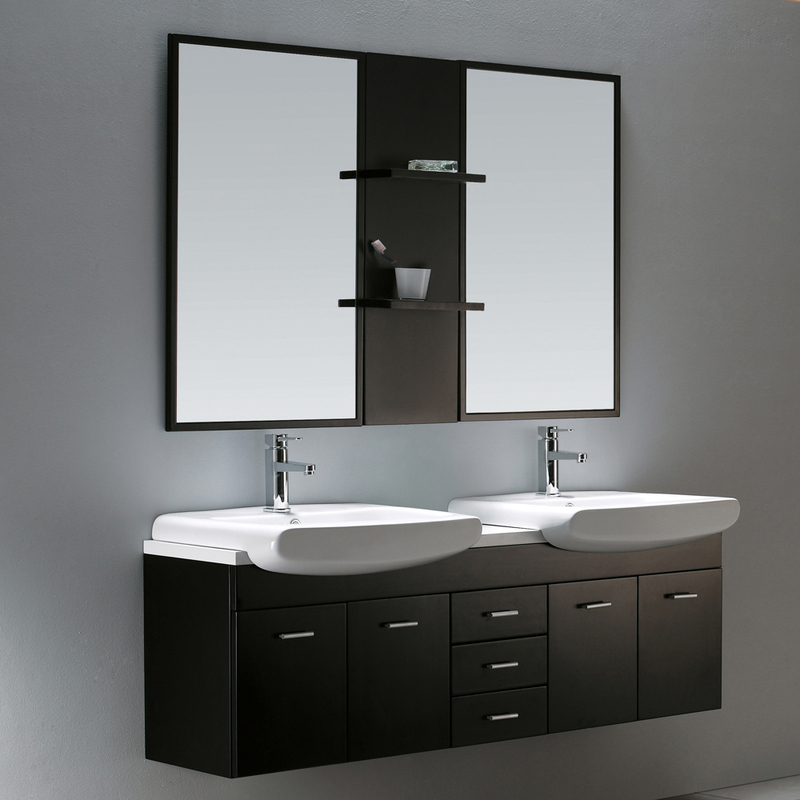 Each side of the cabinet features a double-door cabinet space, and 3 central sliding drawers for maximal storage space - all equipped with soft-closing hardware for durability. 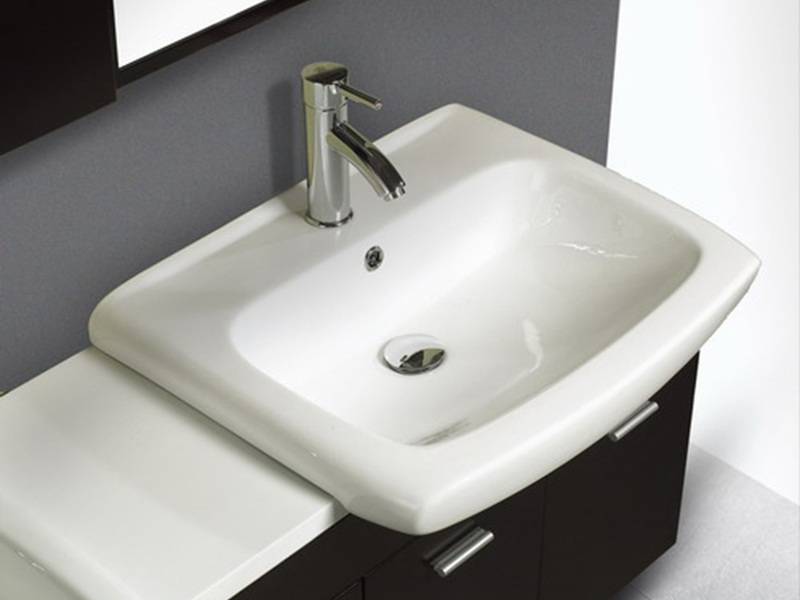 The uniquely bowed sinks are made from white ceramic and are separated by a ceramic counter to give you space for bathroom essentials! 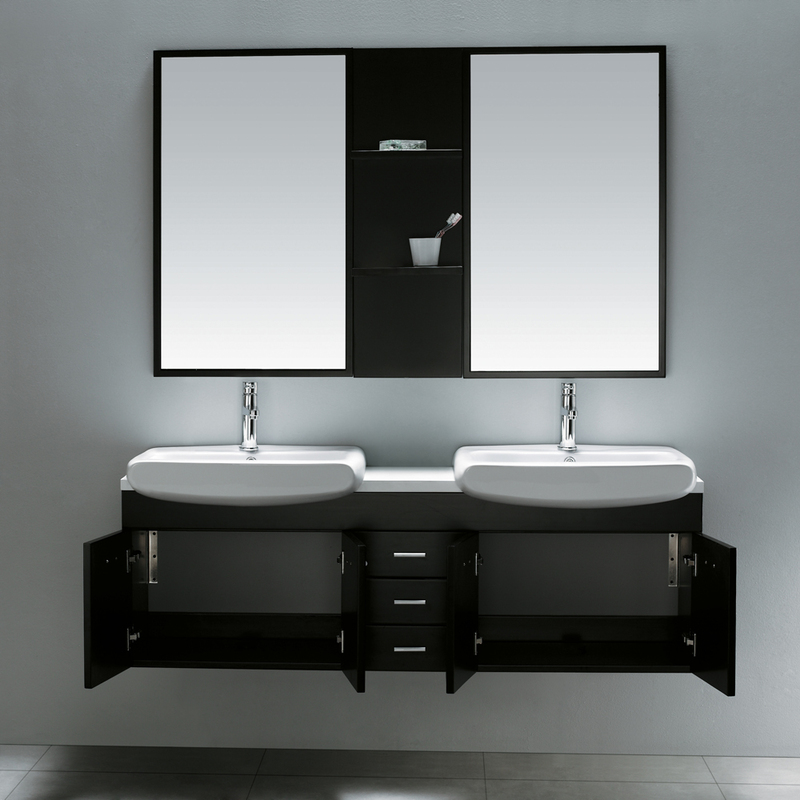 Add the matching Wenge dual mirror with its integrated central shelves for a look that will dazzle!